Whether you’re pouring a suspended slab on a high rise, framing the latest McMansion, or mudin’ and boardin’ another ‘great room’, it all gets done a little faster and little easier with your favorite tunes. Whether you’re working in the rain or snow; or you’re sweatin’ with your shirt off in the sun, having good beats from a quality boom box makes it all go by so much faster. With just about every tool manufacturer now producing various job site radios, you know some are going to be good and some are going to be crap. 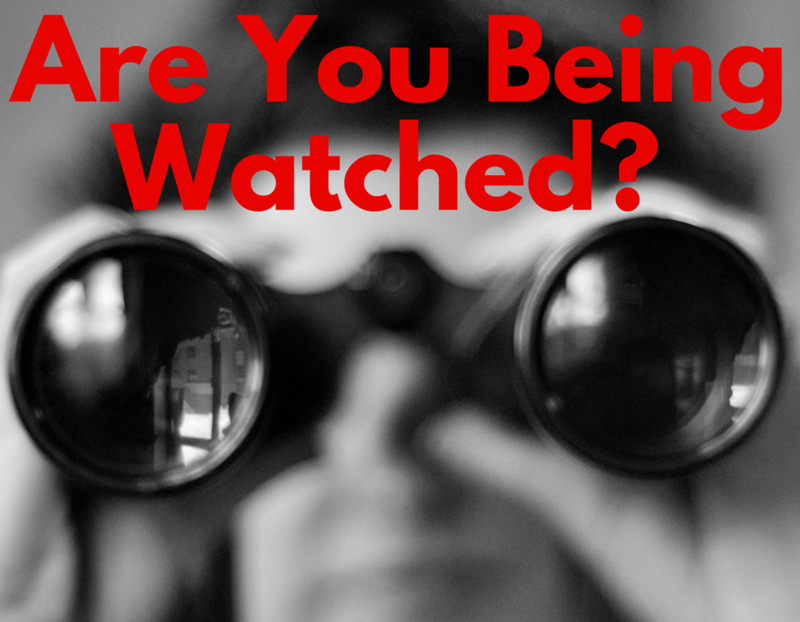 So, how are you going to know which is right for you? Easy, I’ve done it all here for you. What Makes For Good Tunes At Work & How To Choose? These days, all the standard tool manufacturers make some type of good job site boom box. With so many brands to choose from, your first priority is probably going to be the brand that matches all your cordless tools so you can interchange the batteries. Secondly, your choice should come down to budget. You can probably find most of the work site radios reviewed here at all your typical hardware stores, but you're gonna pay much more than you have too. Buying these things online rather than a big box store is gonna save you money, probably in the neighborhood of 10-30%. 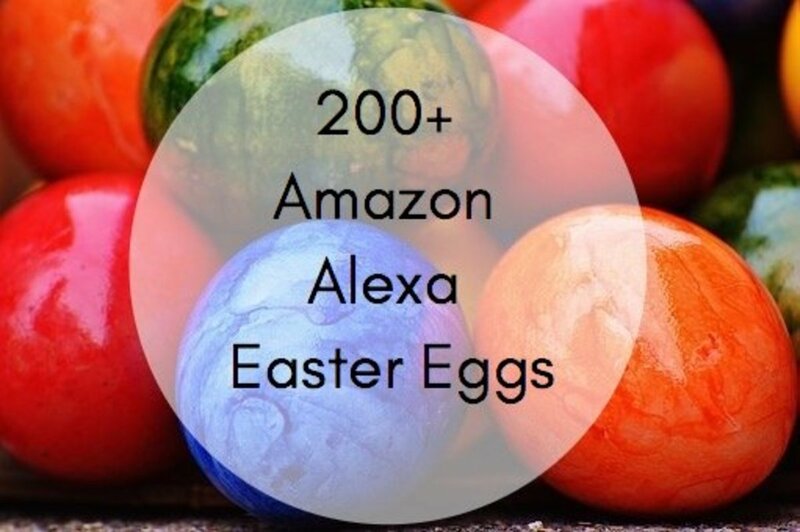 Thirdly, there are tons of features and to choose from - some good, some useless, and I’ll go over them - but you won’t find them all in a store selection. Online however, you can choose anything you want. Good job site boom boxes will have just about everything you can think of when it comes to your tunes and tools. They should, of course, have the option of battery operation - so you can have your tunes on any job site, no matter how remote - and those batteries need to be interchangeable with your cordless tools; plus it's a real bonus when your boom box is also a charger for your tool batteries. If you’ve got power for tunes you oughta be able to charge your batteries too. 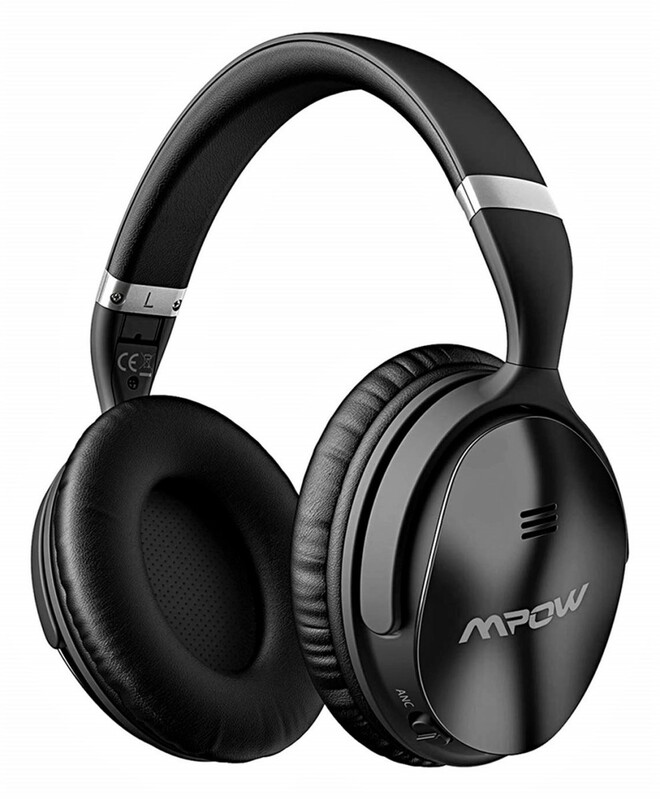 Further, they pretty much need to be bluetooth compatible, and its nice to get one that will play your MP3, ipod, iphone, XM satellite and even tune in a radio station or two. 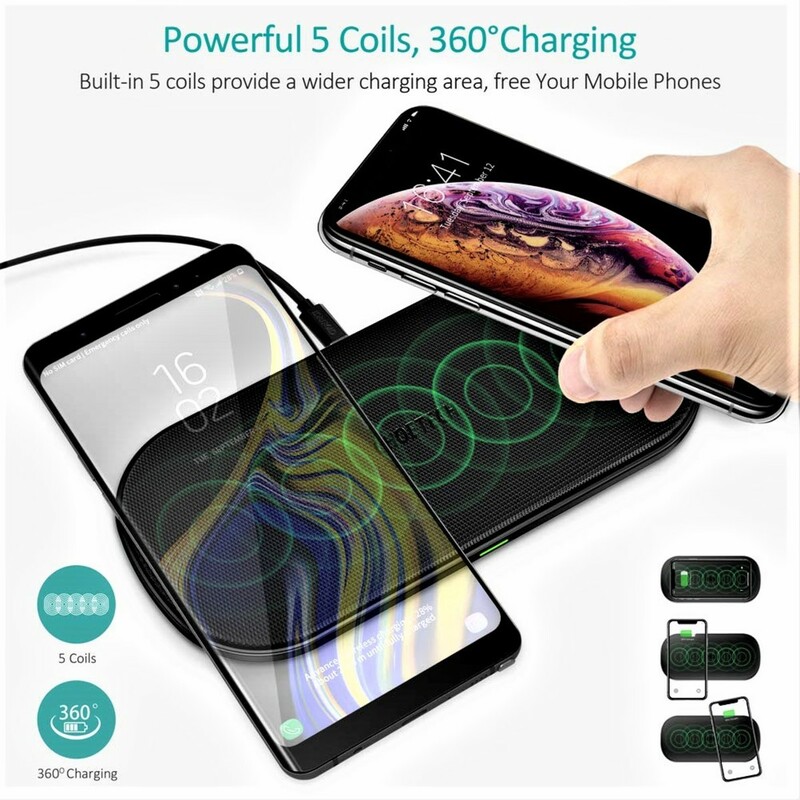 They should have an iphone or android port, so you can download your favorite tunes and charge all your devices, and some of the best will even have AC power outlets so you can run other tools from them. Also, look for a good construction site radio that is weatherproof and durable ‘cause you need it to perform, rain or shine, indoors and out. With these features in mind, let’s take a look at five of the best job site radios available at the lowest prices anywhere. Milwaukee’s tag line is “Nothing But Heavy Duty” and if you own any of their tools you know they mean it. Their drills, drivers, impact wrenches, and saws always have the most power, torque and speed, and their M18 Work Site Radio is no exception. If you already run Milwaukee tools on your site, this is the one for you, it is the most powerful and has just about every feature available. First off, Milwaukee was the original job site stereo on the market offering Bluetooth wireless technology. You can play your tunes and completely control this system from more than 100’ away with any Bluetooth enabled device. It also has a iphone and andriod ports inside a weatherproof compartment so you can link all these devices directly for playing and charging while keeping them out of the rain, snow and dust. Plus, this is the largest compartment I’ve seen so far, large enough for your phone and other important personal items. When it comes to premium sound, the Milwaukee name comes through with two powerful 4” woofers and 1” tweeters producing 40watts of job site thumping power - the most of any construction radio out there. Additionally, you can adjust sound to the way you like it with a sweet 10 frequency, programmable equalizer. 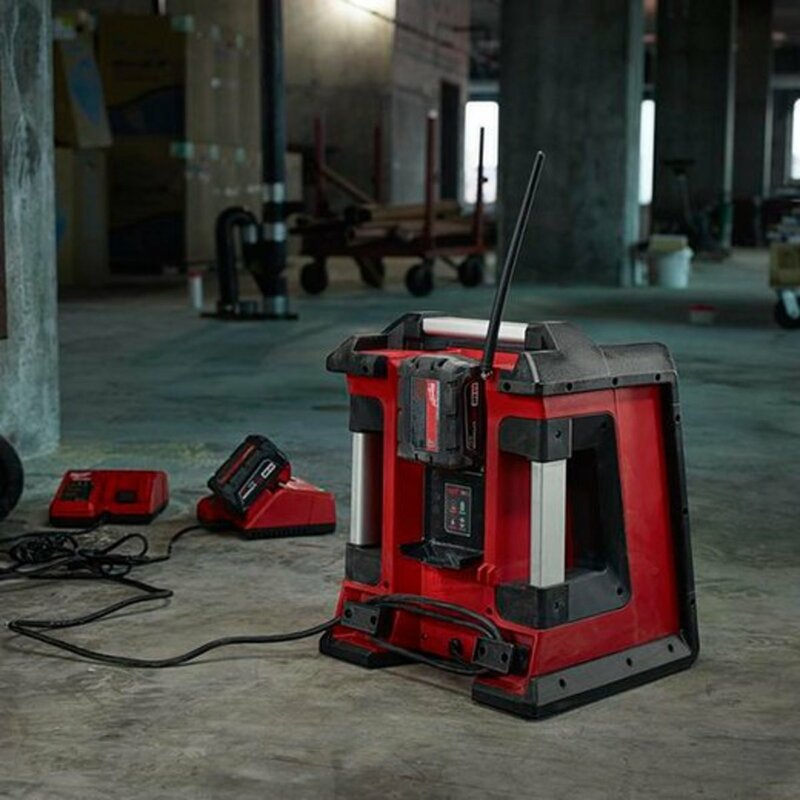 Of course, not only will this unit charge all your Milwaukee M18v batteries, but you can run on both AC power or battery power, a great feature when you job site isn’t exactly connected to the grid. Lastly, and possibly most important to some, it also comes equipped with a bottle opener. I have to admit, I think the Milwaukee job site radio is the best one out there because of the premium sound and output power; the only feature its lacking is AC outlets for other tools to plug into. Overall though, quality sound and premium features coupled with Milwaukee’s legendary durability make this work site radio more than a good option, especially if you already run Milwaukee equipment. Four AC outlets, so your work site boom box becomes your portable power outlet for all your other tools - a handy feature when you have limited extension cords and the only power is way over on the pole at the corner of the site. 28 watts of 360 degree surround sound from four speakers pumping out volume in all directions, a real bonus when you’re working in multiple locations around the site or have a large crew. With the PB360C, Bosch now has bluetooth capability so it’ll play everything but your dad’s vinyl with its internal and external ports for MP3 and USB, and Sirius XM. It also has an internal USB port for all your ianything devices and even pre-programmed SD cards. It's further equipped with a 12v DC “cigarette lighter” outlet for any older devices you want to operate. 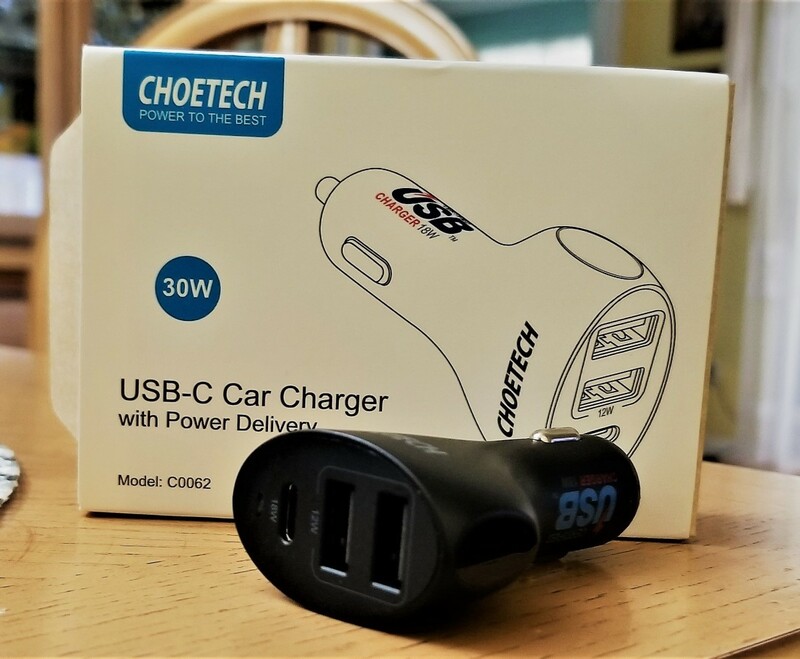 If you’re already running Bosch cordless tools, the PB360C offers the versatility of running on AC power or any of Bosch’s 14.4v to 18v batteries and will of course charge these while connected to AC power. 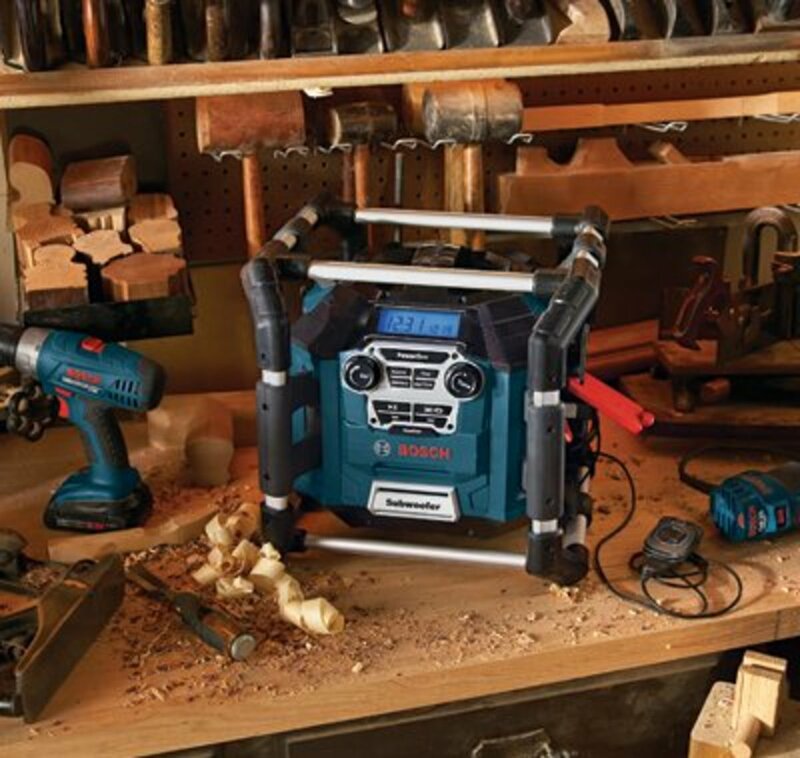 Overall, the Bosch boombox is a good combination of tough, rugged design and job site specific features like the four power outlets and 360 degree sound that will be your top performer on any site. Durability and compact size are the most impressive features of Ridgid job site radio. Like the Bosch, this Ridgid is entirely surrounded by a shock cushioning roll cage - but at just 12.7 pounds, is considerably smaller and lighter than either the Bosch or the Milwaukee. Pumping tunes from a variety of devices is easy with your Ridgid. 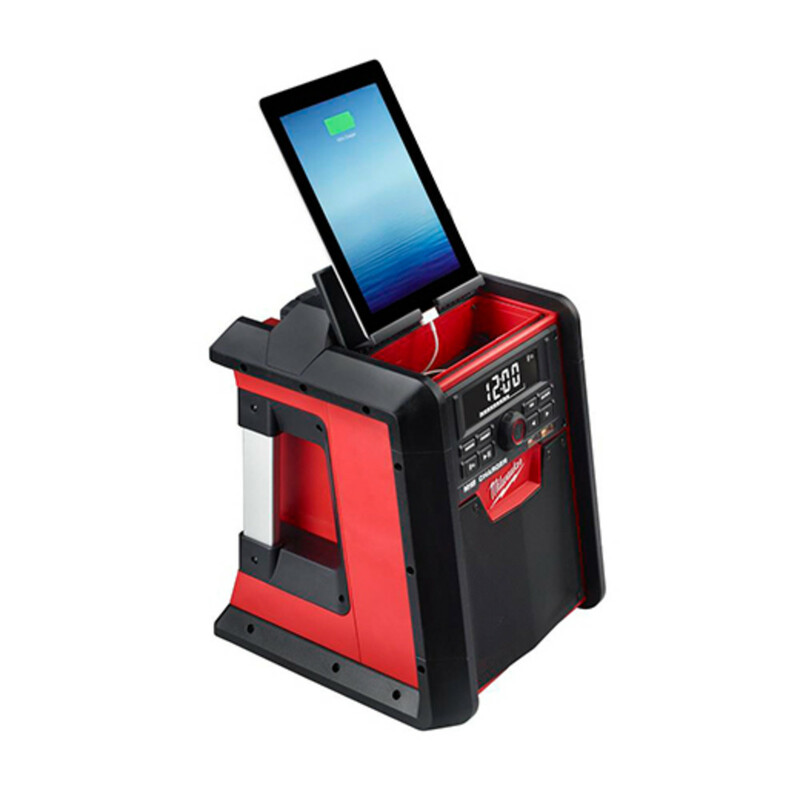 All your MP3 and Apple devices can be connected wirelessly via bluetooth or connected, played and charged via the USB and MP3 ports in the weatherproof compartment located on the side of the unit. 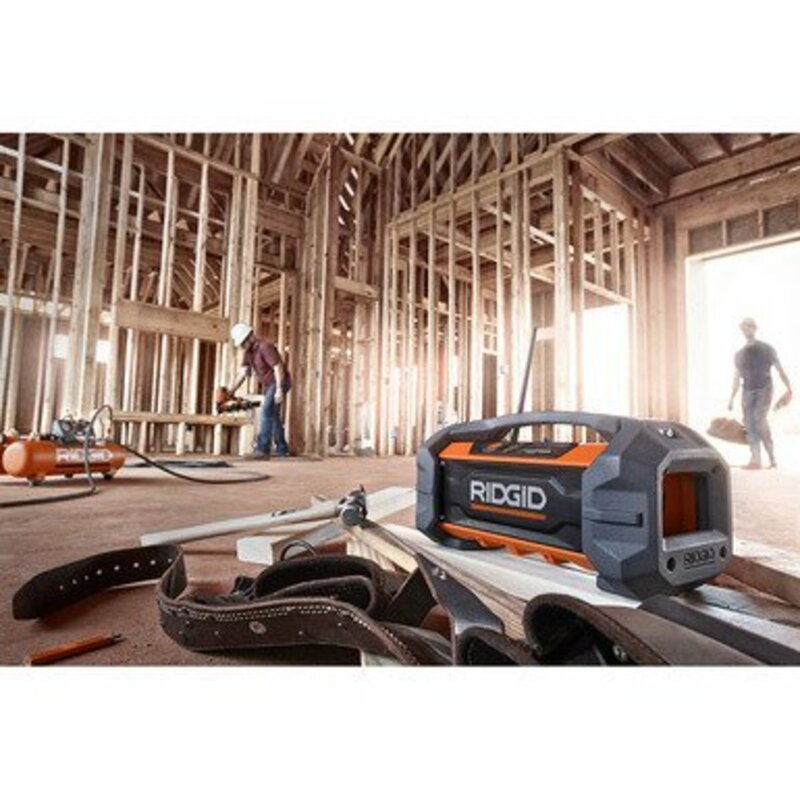 If you already run Ridgid tools on your construction site, you’ll find all your 18v slide pack batteries are interchangeable with this boombox and of course, the unit will play from the batteries and charge them while connected to AC power. Drawbacks to this unit are the lack of AC power outlets to allow the connection of other power tools and you’ll find the USB device compartment isn’t much bigger than an iphone itself, so you’re not going to get much else in there that you might want to keep out of the weather. On the whole, Ridgid’s job site radio is light, compact, well protected, produces decent sound and will work with your standard Ridgid batteries making it a good choice, especially if you are already running Ridgid products. For all you DeWalt Tool fans out there, this construction radio/stereo is for you. Once again, DeWalt hits the nail on the head with a good combination of job site versatility, compact size and weight, all at a reasonable cost. 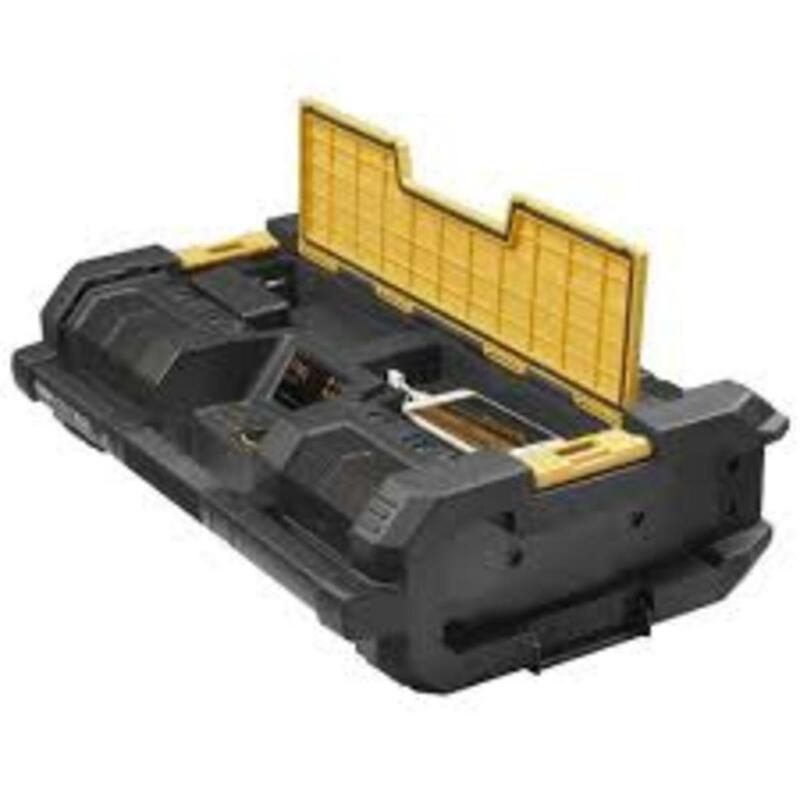 The two standout features of the DeWalt ToughSystem Stereo is that it can be run on AC power of course, but can also be powered by both the Dewalt 12v and 20v battery systems, and with a built in charger it can charge both these battery types while you work - and can be stacked along with other toughsystem modules. With wireless bluetooth and a range of 100' to cover the entire site, the DeWalt will play all the media under the sun and more with an external MP3 and internal weather proof USB and iphone ports for playing and charging. For quality site-ranging sound, tunes are pumped from a sub-woofer and four mid to high range tweeters. Lastly, a good feature of the DeWalt job site radio is its 3 year warranty, I have yet to find a longer one. If you’re already running DeWalt tools and you’re looking for quality and durability that won’t break the bank, give this one a try. Professional quality and durability have long been associated with the strong Makita brand name and while their job site radio is no exception, it is similar to the Dewalt in that it is a more basic model than either the Milwaukee or the Bosch. Like the DeWalt, the standout feature of the Makita XRM06B bluetooth is that it is compatible with a wide range of Makita batteries systems including the 7.2v - 19v Pods and the 9.6v - 18v Slides. 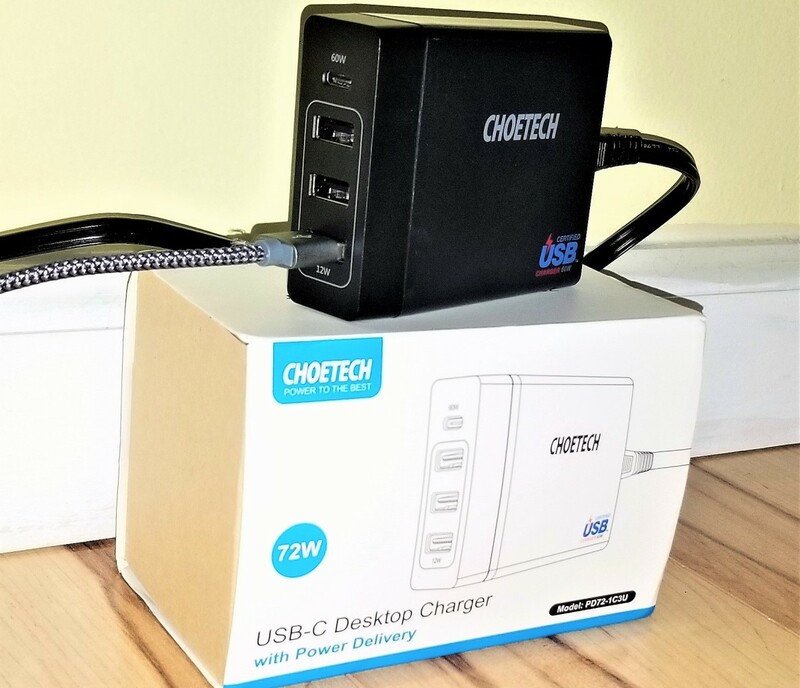 It will not only operate off of AC power but will also run off of all these batteries and doubles as a charger for them when AC power is supplied. Unfortunately though, the Makita does not offer any AC power outlets on any of their work site boom boxes. For all your apple iphone and android devices, the Makita is bluethooth ready and has a topside docking mount but be aware: your device will be exposed to the weather as no compartment exists to shelter those devices when playing or charging. There is an external MP3 port, but not one for USB. Sound is produced from two side mounted 3” speakers that provide decent sound for a compact player like this one weighing in at just nine pounds. Overall, if you run Makita power tools on your work site, or if you’re looking for the smallest, most compact option, this job site radio can be a good choice. What's most important to you in a job site boom box? 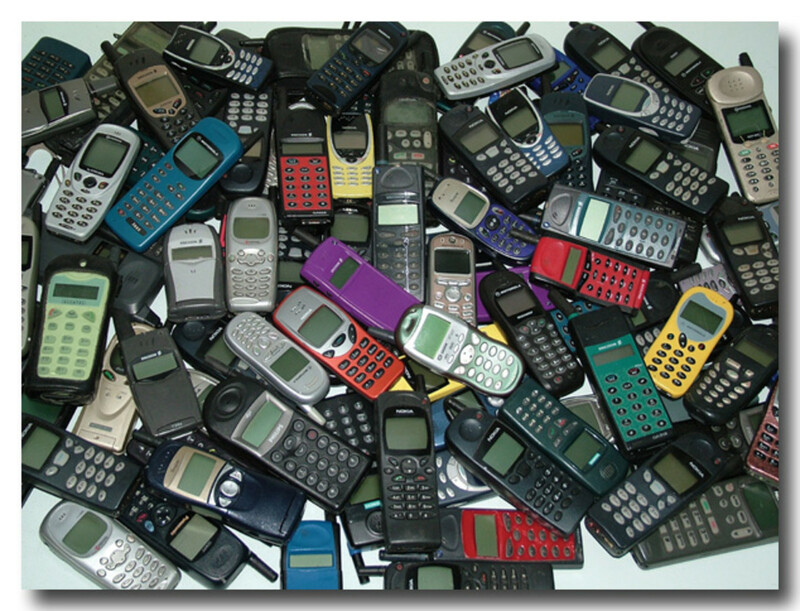 So, Which Is The Right One For You? So, which should you choose? If you have a full line of one manufacturer’s tools already, stick to that name brand and associated power options. If you’re still building you power tool arsenal, my recommendation is either the Bosch or the Milwaukee. The Milwaukee offers far and away the most power, volume and premium sound, plus a quality name and unique features like the bluetooth capability. The Bosch’s 360 degree surround sound and four external AC power outlets turn it into a must have power board that you’ll wonder how you ever did without. Either way, any of these five are the best of the best when it comes to job site radios and are sure to keep your site producin’ and rockin'. I was in Lowe's today, the newer Bosch version has Bluetooth.